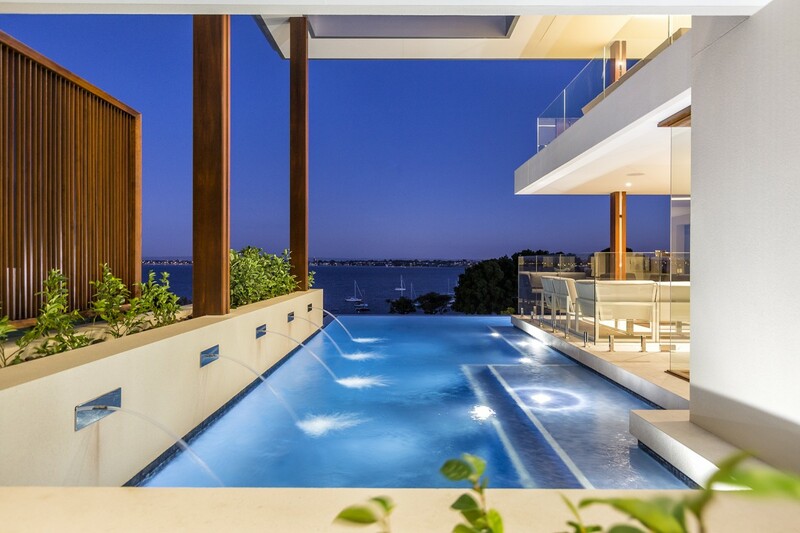 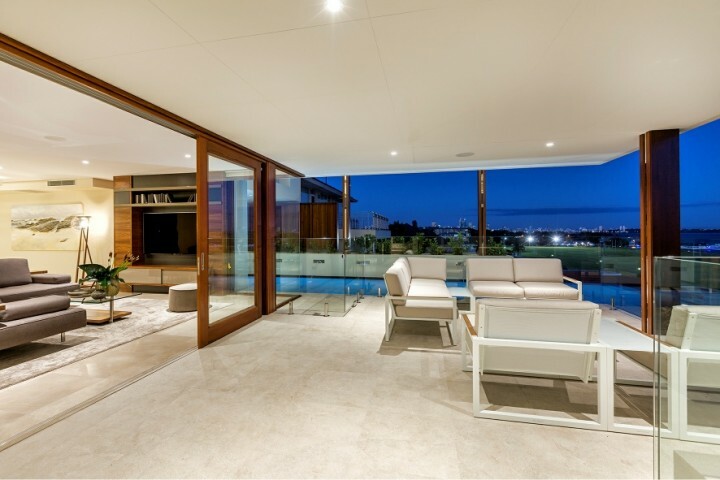 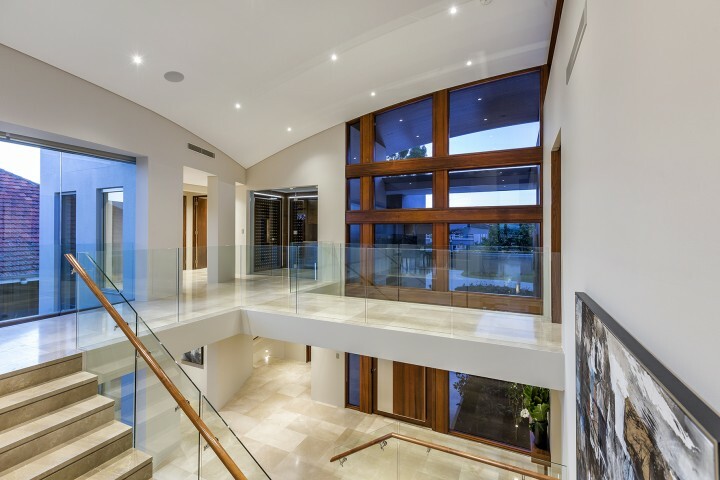 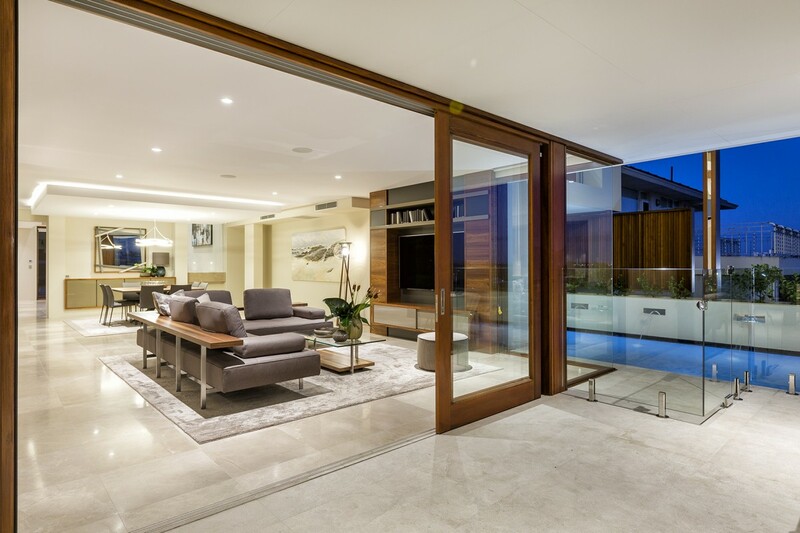 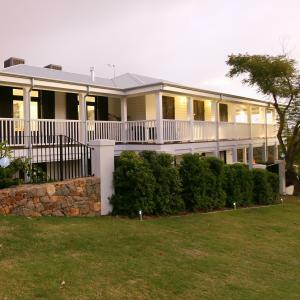 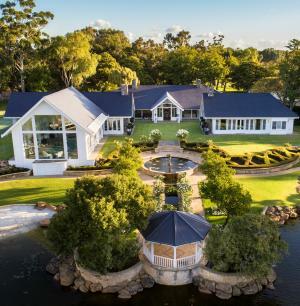 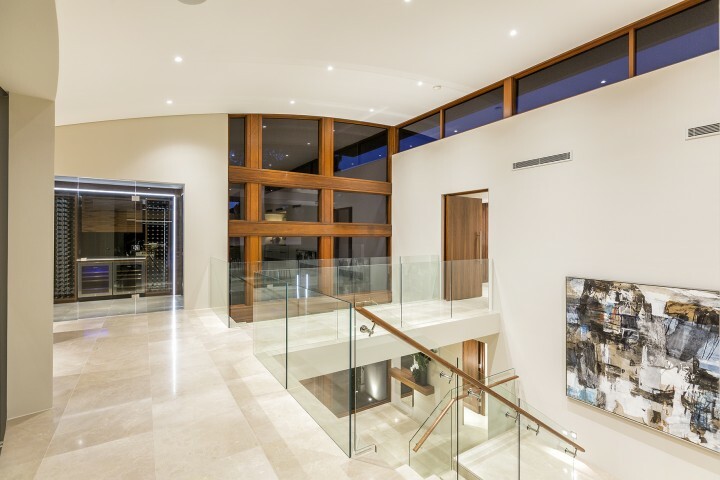 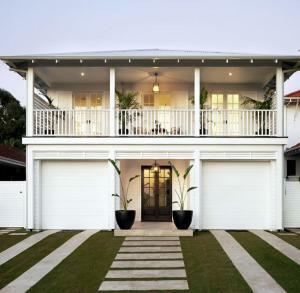 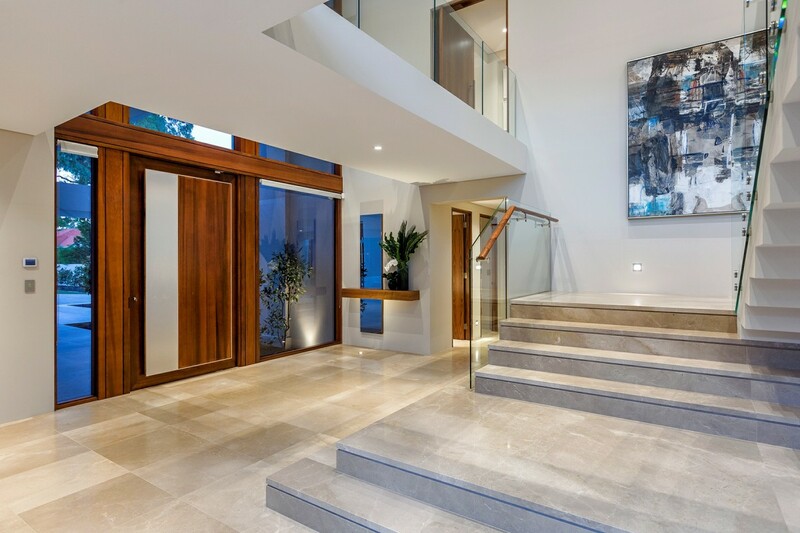 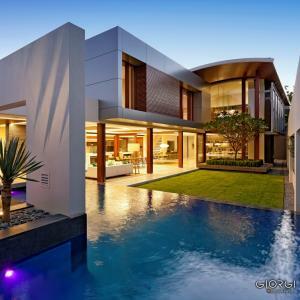 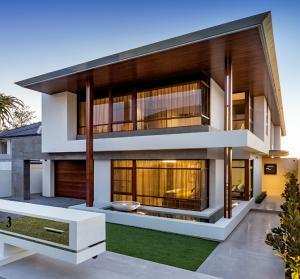 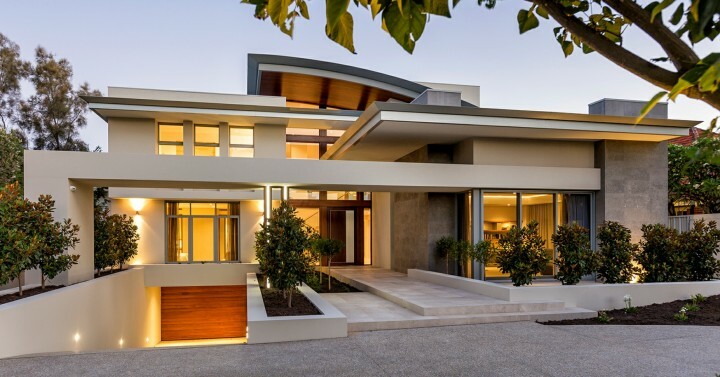 This beautiful home in Nedlands overlooks the Swan River, with panoramic views of the water. 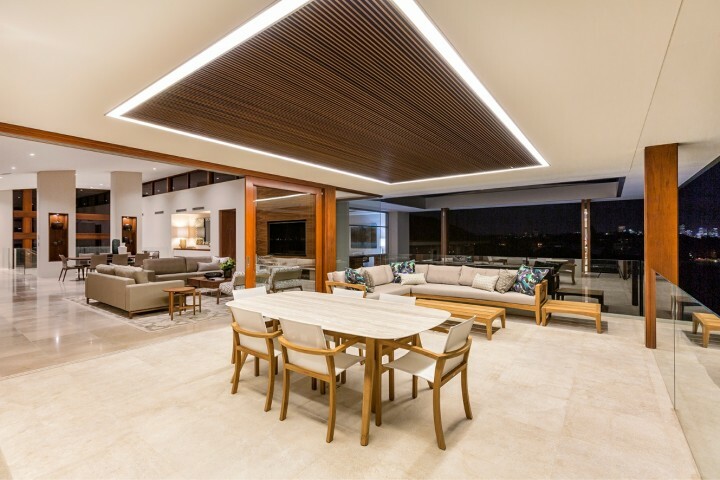 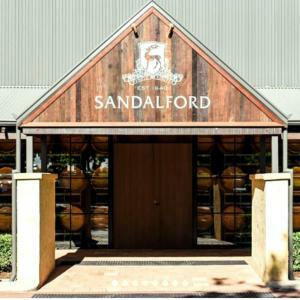 The building has been designed to frame the views and features large windows and multi-stacking timber doors that open up to a stunning alfresco area. 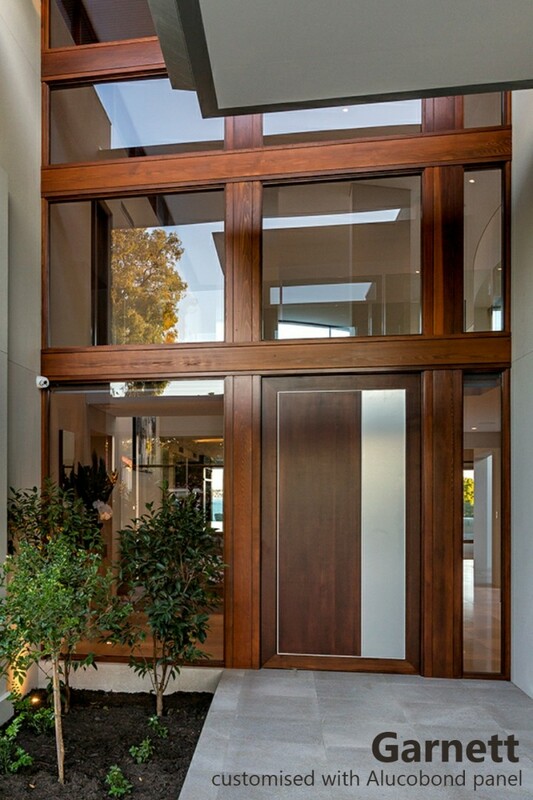 The entry to the home also features an impressive cedar pivot door surrounded by double-height glass with feature timber panelling by Cedar West. Timber has also been used to great effect for the column cladding and Flutestyle timber feature lining above the dining area. 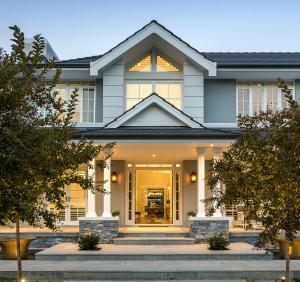 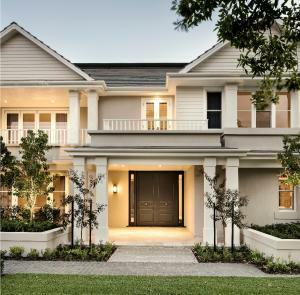 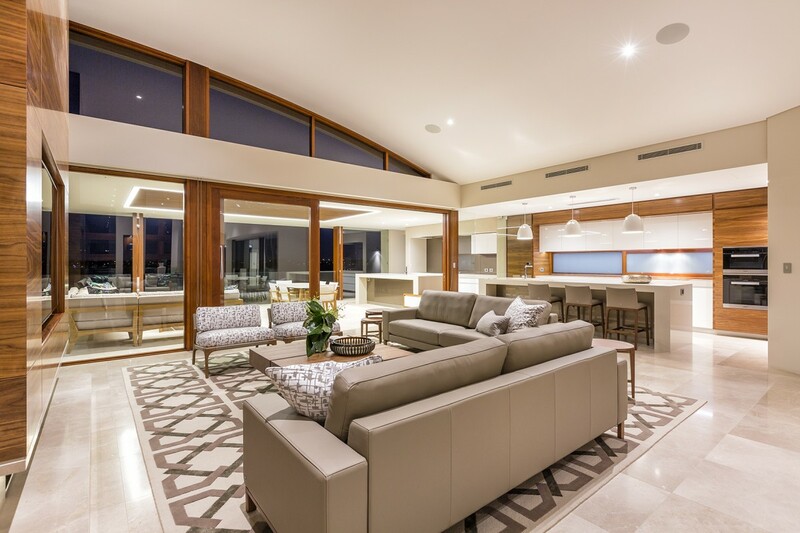 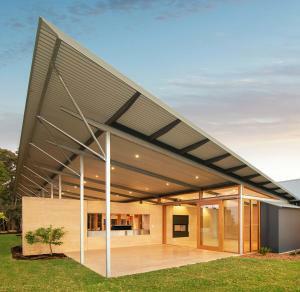 The project was designed and built by Giorgi Architects & Builders, with timber joinery and mouldings by Cedar West.